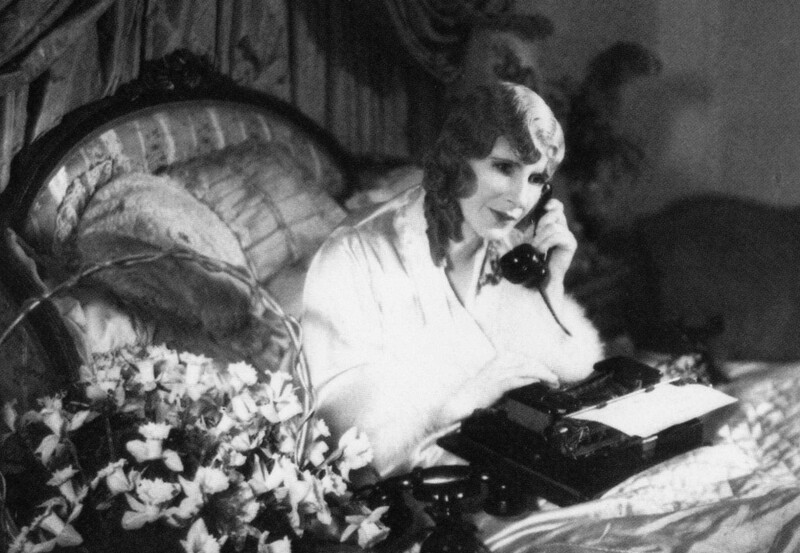 Aimee Semple McPherson (1890-1944) was a prominent figure in early 20th century Los Angeles. The charismatic founder of the International Church of the Four Square Gospel virtually turned the religious establishment on its head from the moment she burst upon the scene as radio’s first female evangelist. After years of traversing the country by automobile spreading the gospel, Aimee selected a site in Echo Park for her permanent base of operation. The population of our community greatly increased in the 1920’s and 1930’s as thousands of faithful devotees flocked here to be closer to “Sister Aimee” as she preached from the newly constructed Angelus Temple. The following excerpts are from a short biography written by author Don Taylor. By 1919, Aimee had moved her family to Los Angeles, where she wanted to establish a permanent facility where a revival could be held continuously, where people could come and worship, and where those called into the ministry could be trained and prepared. She found a perfect location for the facility on a corner lot next to Echo Park. With its beautiful trees and swans swimming gracefully on its lake, Aimee described the park as “heaven on earth.” This was to be the home for the Church of the Foursquare Gospel – a 5,000 seat facility that would be named Angelus Temple, and built entirely with cash donations. Quite a challenge. But this was exactly the kind of challenge Aimee loved. On the day ofits dedication, Angelus Temple made a second impact on the citizens of the state of California: Aimee entered a miniature replica of it in Pasadena’s 1923 Tournament of Roses parade. The float, covered with roses and carnations, received the Grand Marshal Award. Aimee probably did not realize how her actions were stirring up the religious establishment, both in Los Angeles and around the nation. She hadn’t intended for Angelus Temple to be a church, at least in the conventional sense. As long as Aimee traveled as an itinerant evangelist, she was, to the establishment, an interesting phenomenon. Some now saw Aimee as a threat to their own comfortable positions. They were afraid this feisty little woman and the Holy Spirit power she manifested would draw people (and the money they donated) away from their own churches. In spite of constant attacks on Aimee made in the newspapers by a group of local clergymen, the Temple grew by leaps and bounds. And even though some clergymen were attacking the ministry of the fledgling Church of the Foursquare Gospel, many others from numerous denominations – including those who gave up their own pulpits for Aimee’s revival campaigns – were in full support. Many even traveled across the country to be part of the temple dedication ceremony. The temple at Echo Park was ready to hold services. But were the residents of Los Angeles ready for the services Aimee would create? It was Aimee’s contention that the arts belonged to God, and she felt that churches had not done their share in using the performing arts to attract large groups of people. Her solution was to bring the theater into the church, in the form of contemporary music and drama – and that is exactly what she did at Angelus Temple. The audiences attending the services caused traffic jams every Sunday night. copyright 1998, Don Taylor – reprinted by permission.